SO we have a new season just days away and soon it all begins again. There have been additions made to the title winning squad this summer during a time of unexpectedly high transfer activity. Three players came through the entrance and some have been waiting longer than others to join, Owen Hargreaves himself described his move as the worst kept secret in football. It took a Bundesliga record fee to prize Hargreaves from Germany and inflict what Bayern chairman Karl-Heinz Rummenigge called a big sporting loss on the club. 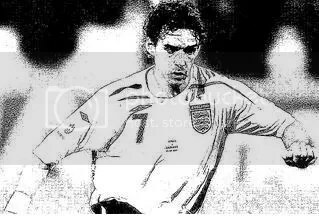 Last year the British press were almost all convinced that Owen Hargreaves had something over the then England coach. Why does he keep selecting this boy? Conspiracy theories were all over, did Owen have some mucky photographs of dear old Sven? Lets face it, by that point most of the media had dirt on the man because, well, there was dirt to be had – but still the fact remains he was being played when a large part of the country didn’t want him in the squad. I don’t think it is possible to survive in the Bayern Munich team for as long as Hargreaves did, and not possess some kind of quality on the pitch. The boy has been loved in Munich, adopted by them for his commitment. It could be true to some extent that this European-ness was to some extent his downfall in the eyes of the England media and some of the fans. Until his move he had never played domestically in England. He, therefore has had no chance to adopt a career path similar to some young players that have played here all their lives, no staggering out of night clubs, no punch ups with team-mates, no alleged indiscretions with older ladies. He didn’t spend a season each at four or five clubs before being moved on for creating disharmony. Hargreaves seems to have spent his years in Germany, turning up for training, turning up for games, playing well and getting off home. How boring! How very un British of him. Doing your job and going home afterwards? Not very showbiz is it? No and I say thank God for that, and welcome to Manchester United. One Carlos Alberto Tévez also seems a big fan of Ronaldo, although I should point out that he has also both ‘promised’ to sign for Manchester United and is also believed to ‘know nothing’ about any transfer, so take any comments from this player with a mountain of salt until he signs on the dotted line (and even then there will be questions). Questions like, if West Ham own Tévez, as they say they do – why the delay in any pending transfer. Surely they are not guilty of telling porky pies about this little detail? I await those developments with something approaching interest, and a little sleepiness as well if I am honest. Cristiano Ronaldo came to this club to replace David Beckham, he came to emulate players like David Beckham. Cristiano Ronaldo is now the reason that Nani and Anderson have come to Manchester United. Ronaldo is still a youngster but the fact that he is enough to make players sign for our club shows his evolution under Sir Alex Ferguson. Manchester United is always moving on. Great players have played for the club, players come to the club because of those players and the ones that are still here. Players like Owen Hargreaves acknowledged the part that Roy Keane played in the fabric of our club, but was also quick enough to distance himself from being the ‘new Roy Keane’ or anything other than his own man. Impressive youngsters sign for Manchester United in part due to the history, but also intent on being part of that history themselves. Before you know it the impressive youngsters are mature world beaters and inspire others to take the same steps they took. Football clubs move on, players move on, the wheel never stops turning. Previous Previous post: Stick Yer Bubbles, We Got Our Trophy Back!